Every spring, Pacific University's campus is bustling. No, it isn't about exam time. It's Pacific University's Hawai'i student club's, Na Haumana O Hawai'i (NHOH), 59th Annual Lu'au, the largest student-run lu'au on the West Coast. On Saturday, April 13, at the Stoller Center, the celebration is back. At Pacific, Lu'au is considered as big as, if not bigger than, commencement. Tickets sell out every year, with about 2,000 people known to attend in the recent years. The club was founded in 1959, beginning with 16 students from Hawaii — then newly admitted as the 50th state. It has grown tremendously over the years. Today, about 15 percent of Pacific University's enrolled students are from Hawaii. For Jana Chun and Edna Gehring, preparing for the event is a time for students in the student club to exhibit their leadership skills. Both Chun and Gehring attended Pacific University and were involved in the club as students, before they became directors for the university's Hawai'i Outreach and Programming Office. Gehring retired last year, with Chun taking over for her. A year into the position, Chun said the responsibility of Lu'au "is a beast." "I use that word with Aunty (Gehring) when we first started at the beginning of the year and as I applied for her position," she said. "I am learning how to delegate and learning how the students operate. I think it is a big learning experience." In Hawaii, "Aunty" is a term of respect for an elder, whether they are a relative or not. Students in the club call both advisers "Aunty," just like Chun calls Gehring. The two, together, bring the event to life along with students and their parents. 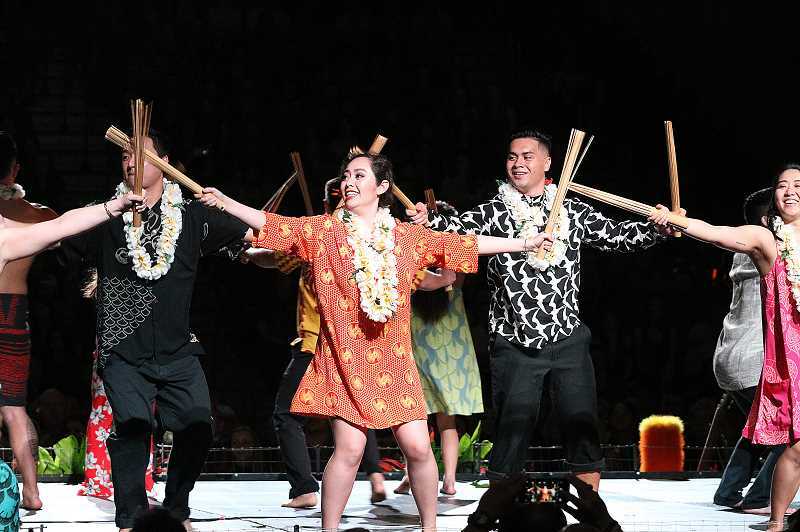 The day includes a country store, a Hawaiian meal, and a larger-than-life performance that encapsulates a range of traditional Polynesian dance and music, created by students. Planning for Lu'au is hard work, taking time throughout the entire school year for the club to organize, plan and execute, Gehring said. Today, about 400 students are signed up for the club, with many actively involved in committees and subcommittees to bring the Lu'au to life. Each group has a leader, usually a senior at Pacific, who trains underclassmen to take on the committees, such as flowers, decorations and food, as they progress at the university. Even after students graduate, many stay in touch with Na Haumana O Hawai'i, and especially with Gehring. "This will eventually occur with Jana, but I still get phone calls (with students) saying 'What's up?' They call to ask for help, or to check in," she said. Gehring recalled students from the past who have gone on to lead successful careers. "In my case, even well after graduation, we'd still talk," Chun said about her working relationship with Gehring. "She'd check in and ask how my teaching is." Not only are students preparing with Gehring and Chun, but parents living in Hawaii are actively involved in the committees. They organize items to be brought to Forest Grove for sale, to eat and to decorate. "It takes a whole village to what we do. Last year, we had about 6,000 pounds shipped by boat and about 5,000 pounds by air. We try to get fresh flowers, and that comes in the week before. It takes a lot of coordination," Gehring said. The theme for this year translates to "The traditions of the land are perpetuated by its youth." "As a native Hawaiian, it is important for our students to continue the culture," Gehring said. "It was, at one point, taken from us. ... With the renaissance in the 1970s, things are better, as far as the culture are concerned. There are about five or six students who are fluent Hawaiian speakers, and they have helped us to move forward a little better with some changes." 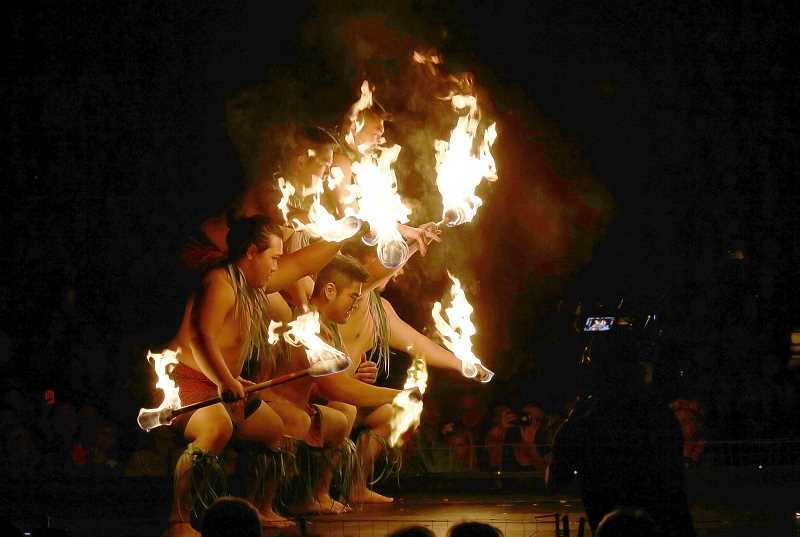 The annual Lu'au is a time to celebrate heritage and share with others and each other, Gehring said. "Part of Lu'au is educating our community, our students and our faculty, and sharing that and making them a part of our family," Gehring said. Tickets are currently on sale, and as usual, they are selling fast. Prices for reserved floor seats and dinner are $40, or $35 for the show only. Reserved bleacher seating is $34 with a meal and $29 without dinner. Reserved seating for Pacific alumni, staff, faculty, senior citizens and children ages 3 to 10 are $32 with a meal and $27 without. Reserved bleacher seating for Pacific student with an ID are $20 with a meal and $15 for the show only. To purchase tickets, visit pacificu.edu/luautix. Fresh pineapples, cookies, chocolate-covered macadamia nuts, leis, jams and jellies, and other treats will be available for purchase from 10 a.m to 4 p.m, and 5:30 p.m. through the show's intermission, at the country store. Dinner begins at 4:30 p.m., with people beginning to line up at 3:30 p.m., will include kalua pig, teriyaki chicken, chicken long rice, haupia, poi, coconut cake and punch at the University Center. Attendees must have a show ticket to eat dinner. For more information, visit pacificu.edu/arts/luau.